You know juicing is healthy and can help you fight off disease and look your best, but is that enough to turn you into a lifetime juicer? Perhaps not, but once you see how fun it can be to juice in your own kitchen you will may find yourself hooked. When you buy juice at the grocery store you are limited to the flavor combination’s some big manufacturers have determined are marketable. When you juice at home you are the master of flavor! You get to decide what fresh fruits and veggies go into the juicer machine and thus cross your taste buds. This is your opportunity to have some fun, get creative, and make some mistakes along the way. If you are trying to get your young children or even teenagers to eat healthier, allowing them to hand pick their fresh produce and create their own juice, smoothies and fruit slushies will work wonders. This will turn into a fun family activity that everyone enjoys. Even if it is just you and your health goals or your intense desire to lose weight, juicing will become something you look forward to doing. 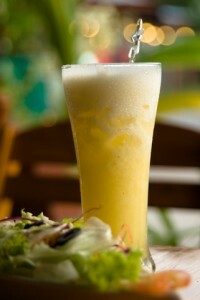 It should be your refuge where you can indulge in delicious flavors you love without any guilt at all. Clean and prepare items for juicer. Juice and enjoy! Prepare fruit for juicer. Add ingredients alternating fruit. Enjoy! A Rainbow a Day, Keeps the Grays Away! Back in the 1970s, a man named Euell Gibbons was selling Grape Nuts cereal by asking, “have you ever eatin’ a pine cone? Many parts are edible.” Boy, did we have fun making jokes about that line as we were clogging our arteries with Big Macs and potato chips. Being the smart folk that we are and, yes, older than we were, let’s make better choices. Let’s eat rainbows! 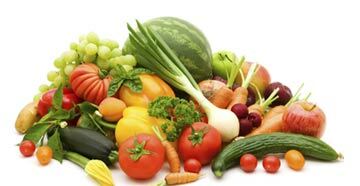 Over at Nutrition Unplugged, they have a great blog post about how the color of fruits and vegetables are a clue to their healthiness. Dark colors mean anthocyanins and phytonutrients, yellow and orange give vitamin C and beta carotene (what’s up Doc? ), reds are full of lycoene, and greens come with extra lutein. Another way to get all those colors is to juice up some fresh vegetables in your favorite masticating juicer. Have an Old Vita Mix Blender Collecting Dust In Your Kitchen? 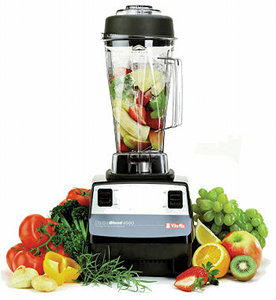 Do you have an old vita mix blender collecting dust in your kitchen? Or do you have one that you use sometimes, but not nearly enough? If so, it’s time to blow off the dust and fire that baby up. There are a lot of ways to use that vita mix blender to support your healthy lifestyle, but smoothies are something everyone can whip up. The great thing about a healthy smoothie is you can use a wide variety of fruits so everyone gets the flavor they enjoy most. You can also add in protein powder, Greek yogurt, flax seed or coconut oil, or any number of other health-boosting additives. These things will give more nutritional value to your smoothies. The simplest way to create a healthy smoothie in your Vita Mix Blender is to combine frozen fruit (no syrup or sugars added) with fresh juice and blend it up. Add a protein source to turn it into a meal that keeps you full longer or flax seed oil for a healthy boost of omega 3 fatty acids. If you want the healthiest smoothies possible, use fresh homemade juice created with your own juicer. This ensures the juice is fresh without any preservatives or added sugars. I have tons of information on choosing the best juicer for you right here. Blend all ingredients in your Vita Mix Blender until smooth and creamy. Enjoy! Do you get bored eating the same salads all the time? Salads are a great way to fill up and pump up your energy without packing tons of calories into your diet, but if you don’t spice it up you will get bored and head for the burgers and fries. One way to spice up a salad is to sprout your own seeds at home with the EasyGreen Sprouter. It is incredibly easy to do this and you can toss the sprouts into your salads or even put them on sandwiches for something different. Since sprouts are packed with vitamins and minerals your body needs and are very low calorie, they will infuse your snacks and meals with flavor and consistency without ruining your diet! 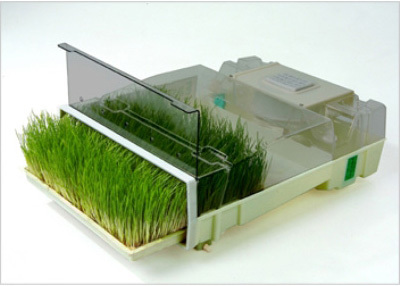 A simple sprouting machine such as the EasyGreen Sprouter is all you need to sprout seeds at home. 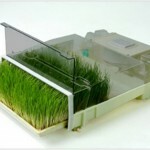 We have the EasyGreen sprouter in our store. Works everywhere in the world regardless of climate. Unique timer works with any climate for perfect sprouts every time. Built-in water reservoir works with various types of water. Misting system only uses a half gallon of water in 24 hours. 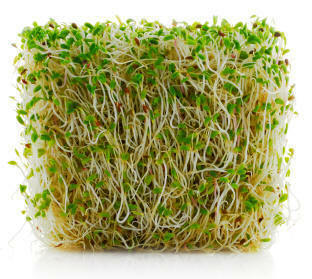 EasyGreen Sprouter Can be used with soil or with hydroponic growing solutions. Convenient rotation system eliminates the need to label jars and bags. Additional systems can be used to expand for higher capacity. Summary: This is so good it can be addicting. Add water and hemp nut to blender. Mix well. Add the remaining ingredients and blend until smooth.Enjoy.